David Lebovitz, author of The Great Book of Chocolate and The Sweet Life in Paris, will lead a Paris Chocolate & Gastronomy Tour March 31-April 6, 2014. Events will include cheese and wine tastings, guided walking tours, and visits behind the scenes of the shops of chocolatiers, bread bakers and candy makers. For more information, visit www.davidlebovitz.com/tours. 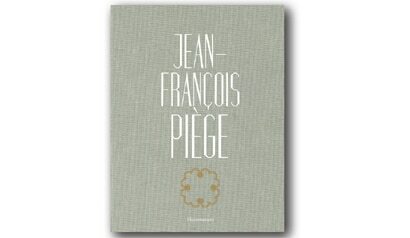 French chef Jean-François Piège (Thoumieux, Restaurant Jean-Francois Piege) has a new cookbook, entitled Jean-François Piège, that will debut on November 13, 2013. The recipes are accompanied by more than 100 artistic photographs. Restaurant Jean-Francois Piege, 79, rue Saint Dominique, 75007 Paris, 01 47 05 79 79. The Hotel Plaza Athénée closed in early October 1, 2013, for a massive renovation. Its reopening is scheduled for May 2014. 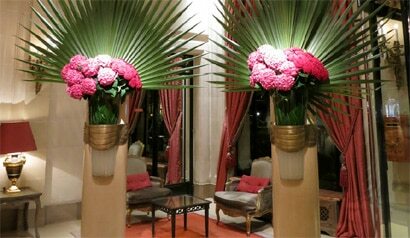 The hotel's two restaurants, Alain Ducasse au Plaza Athénée and Le Relais Plaza, are also not operating. This closing intervenes just after the acquisition by the hotel of four adjoining buildings that will provide 14 additional rooms and suites and a conference room. Read more on GAYOT's blog. Alain Ducasse au Plaza Athénée, Hôtel Plaza Athénée, 25, av. Montaigne, Paris 75008, 01 53 67 65 00.